Rats, mice and other rodents can become a nuisance when they come in close proximity to humans. Why are rodents a nuisance, though? Rodents are warm-blooded mammals, ranging over 1500-2000 in terms of species. They are usually black, gray, or brown in color and can be identified by their over-sized front teeth, which they use for gnawing and chewing through, say, a variety of items like the furniture in people’s homes. Rodents are also ferocious in nature and may even proceed to bite if made felt threatened in any way. In addition to causing destruction, these rodent and rats are also capable of transmitting a variety of bacteria, viruses, and diseases through their saliva, feces, and urine. These diseases include leptospirosis, Hantavirus, plague, rat-bite fever, salmonellosis, and tularemia. 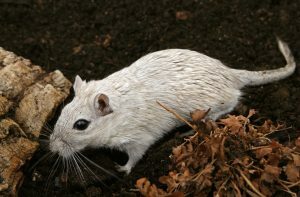 You might be experiencing a problem with rodents such as mice or rats that you don’t know about. If you develop a problem with any of these types of pests, our mice control and rat exterminator at Suffolk County Pest Control can help you with this problem. These are not pests that you want roaming on your property or in your house. Our Suffolk exterminators will be able to identify what your exact problem is. They know how to properly identify the problem. If there is a mouse in your home, they will know because of their habits. They know how fast they can be and this is why they use specific methods to get rid of them. Rats are a serious problem because they can put you and your loved ones live at risk. They gnaw on wiring and cause fires. This could be your eventuality if you have a rat infestation. Call on our us for our Rodent Extermination Services and allow our Suffolk and Nassau exterminators to resolve your issue for you. While it’s easy to understand why and how rodents are bad for us, most people do not realize the possible extent of the seriousness of an infestation. At first, the issue may not be even noticeable. Rodents can squeeze through spaces that may appear to be much too small for them, with the smallest species capable of getting through holes as narrow as half an inch in diameter. Next, as rodents tend to be rapid breeders, populations are maintained through constant reproduction. Adding to that, many rodents are social and prefer to live in large colonies. This must be noted that once an area is infested, only a pest control professional may be of any real assistance. Individuals should never attempt to eradicate infestation on their own as they may be injured or come into contact with diseases. 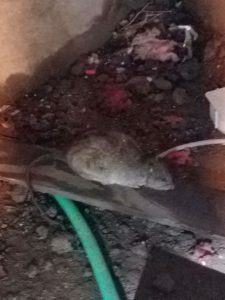 This is where Suffolk County Pest Control comes into play as it specializes in rodent control and removal to help one get rid of this nuisance in their home or business. What does it do? It hires animal control specialists, that are trained with the most advanced rodent control, to not only address current infestations but also to prevent future ones. When you are experiencing a problem with rats or mice, you probably want to get rid of this problem as quickly as possible. Our Suffolk rat exterminator will handle it for you. Because they are so familiar with the habits of each of these types of pests, it is easier for them to effectively address the problem rather than your handling it on your own. 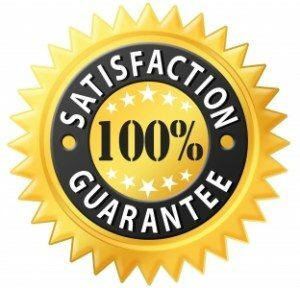 There has been a lot written about taking care of the problem on your own but if you want your rodent problem taken care of quickly, leave the job in the hands of our expert rodent Suffolk exterminators. Our mice and rats exterminators in Suffolk want you to rely on them to treat your problem. They will effectively find the source of your problem and seal it up so that no more rodents are able to get inside. While pest control services handle the problem, what can we do to ensure that such a problem does not arise again? To prevent future infestations, we need to cut off rodents at their entry points. The best way to reduce the possibility of an infestation into homes is to seal possible entrances. One sneaky small rodent getting through a small crack could be the cause for the breeding of a hundred others. Therefore, identifying and sealing as many entry points as possible is a must. Rodents are attracted to plentiful food and shelter so possible food sources must be kept away from them, especially agricultural products, such as grains and cereals, which should be kept in sealed metal or glass containers to prevent contamination. Homeowners may also try a variety of repellents such as mothballs or even essential oils in order to keep away rodents. Those who may prefer to deal with the rodents themselves may be advised to take the assistance of bait traps. Being nonprofessionals, what most people may not realize is that one has to set out enough traps. Traps must be placed in areas of most rodent activity and they must be placed about 15 to 20 feet apart. Another thing to note is that traps for mice and rats must not be confused as they have different sizes so the trapping mechanisms may not work properly. 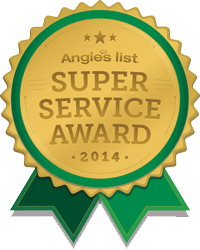 Suffolk County Pest Control recognizes a person’s need for a secure and rodent-free habitat. While the possibility of a full-blown infestation depends on the hands of each homeowner, no one in Suffolk County would be without the professional assistance needed to pass through it. Knowing that rats are a big problem in New York shouldn’t be an excuse to ignore a problem that you may experience with rats, rodents or mice. Regardless of where they are found on your property, you can depend on Suffolk County Pest Control to effectively address your rat extermination needs. You may think that the solution to your problem is as simple as sitting out some rat traps. You will eventually see that this method is not as effective as you thought it might be. If you want a long-term solution to keep rodents away, call on our Suffolk pest control exterminators in New York.